New Short Story for Kids written by: Miranda Guzman. 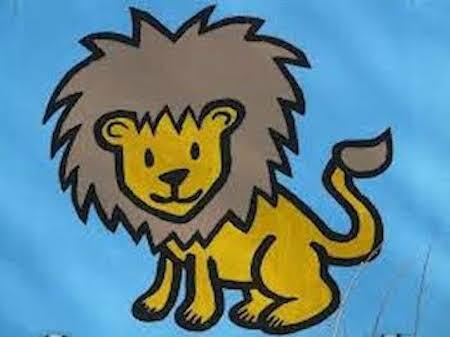 Willy was a friendly lion who ate everything he saw…He would eat everything his friends and neighbours had. He took his friend Peter Lion’s milk, he took his friend Helen’s hyena meat, he stole Mr.rabbit’s carrots and the honey from the bees from their big honeycomb. He really deserved his nickname, “Glutton lion”, and that is how he lived, eating everything. Until one day, John, the monkey, tired of Willy taking what was not his, had a very good idea. -“Mmmm, delicious bananas, No doubt, these are the best I have ever eaten!” he said. Willy’s canines fell out because John the very smart monkey had decided to teach him a lesson. He had filed a rock to make it into a banana shape and painted it yellow so Willy would eat it. Glutton lion learnt the lesson: do not take what is not yours. Even though his canines grew back again later, Willy never took anything from another animal again but asked permission when his friends shared with him.